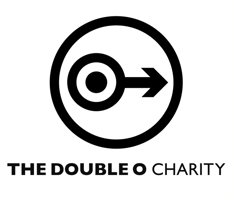 Double O was started by The Who in 1976 to help Erin Pizzey fund her Chiswick Women’s Refuges. In 1983, Pete Townshend took over Double O, which now runs as a private dispersal charity, with efforts focused on helping survivors of drug and alcohol damage, domestic violence, and sexual abuse, as well as music education, emergency relief for International disasters and young people’s prison reform. Double O has dispersed about £4,000,000 and has been indirectly responsible for the dispersal of another similar amount through Double O Promotions. Pete Townshend and The Who have been patrons of Teenage Cancer Trust since it was founded in 1997. The focus of TCT is to provide specialist medical units for teenagers in NHS hospitals in the UK. 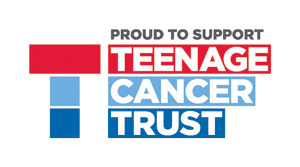 Without the work of Teenage Cancer Trust, young people with cancer would be treated alongside children or elderly patients at the end of their lives. Being away from their normal life, friends and environment at such a vulnerable time is the last thing they need. To help raise funds, The Who have performed at a series of annual TCT charity events organized by Roger Daltrey that have been held at the Royal Albert Hall since 2000, raising close to £3,000,000. In 2012, Pete Townshend and Roger Daltrey held a press conference at the National Press Club in Washington DC to launch the Who Cares charity to help extend the UK Teenage Cancer Trust cause to America. They are the primary patrons of the Teen Cancer America charity, which opened a new unit at the Ronald Reagan UCLA Medical Center in November 2012. One dollar from every ticket sold on The Who’s North American Quadrophenia tour in 2012/2013 was donated to Teen Cancer America. Just as Pete and Roger have supported TCT in the U.K., it is their long-range goal to establish Teen Cancer America programs in strategic locations across the United States. In addition to numerous personal private donations, Pete has also done a great deal of public work to help raise funds for a variety of organizations. Here is a list of charity events that Pete has participated in over the years. 1972 – Performed with The Who at the Rainbow in London to benefit the Stars Organization for Spastics charity. 1974 – Performed solo benefit show at the Roundhouse in London to raise funds for Camden Square Community Play Center. 1976 – Founded Double O charity with The Who to help Erin Pizzey fund her Chiswick Women’s Refuges. 1979 – Performed with The Who to benefit Meg Patterson’s Pharmakon Clinic for drug rehabilitation. 1979 – Performed solo at Her Majesty’s Theatre in London for The Secret Policeman’s Ball to benefit Amnesty International. 1979 – Organized and performed solo at the Rainbow in London for the Rock Against Racism benefit concert. 1979 – Performed with The Who at the Hammersmith Odeon in London benefit Concert for Kampuchea for the victims of war-torn Cambodia. 1981 – Performed with The Who at the Rainbow in London to benefit the Chiswick Family Rescue refuge. 1982 – Performed at first Princes Trust Gala benefit held at the Birmingham NEC. 1985 – Performed with The Who at Live Aid in Wembley Stadium for Ethiopian famine relief. 1985 – Performed with his band Deep End a couple of Double O benefit shows at Brixton Academy. 1985 – Performed at the Dominion Theatre in London for The Snow Ball Revue to aid the Chiswick Women’s Rescue Centre. 1986 – Performed at Double O charity event at Royal Albert Hall for victims of the Colombian volcano. 1992 – Debut of Tommy musical benefit for Nordoff-Robbins Music Therapy Foundation. 1995 – Performed at Madison Square Garden for Paul Simon’s The Children’s Health Fund benefit concert. 1997 to 2002 – Performed 5 shows at House of Blues in Chicago to benefit Maryville Academy, a Chicago area children’s charity. 1998 – Released A Benefit for Marville Academy CD and donated all proceeds to the charity. 1998 – Performed at Rock the Dock show in London to aid Liverpool Dockers who lost their jobs. 1998 – Performed at charity show in Truro to raise funds for ‘Kneehigh’, a Cornwall theatre group. 2000 to 2017 – Performed series of annual events held at Royal Albert Hall to benefit Teenage Cancer Trust. 2000 – Organized an online auction to help fund Oxfam’s emergency services for flood victims in Mozambique. 2001 – Performed 2 fundraising shows for the La Jolla Playhouse in San Diego. 2001 – Performed with The Who at Madison Square Garden for Concert For New York to benefit families of the 9/11 police and emergency workers. 2002 to 2007 – All of the Who shows were recorded and sold as Encore CDs and DVDs to benefit Double O charity. 2004 – Performed at Royal Albert Hall for Ronnie Lane tribute show to benefit Multiple Sclerosis research. 2005 – Performed with The Who at Hyde Park for Live 8 to support Make Poverty History campaign. 2005 – Performed with Roger Daltrey at Gotham Hall in NYC for Samsung’s Season of Hope annual fundraiser for children’s charity. 2005 – Donated a smashed guitar to the Pediatric Epilepsy Project. 2008 – Performed with The Who in Detroit to benefit Focus: HOPE and Gleaners Community Food Bank. 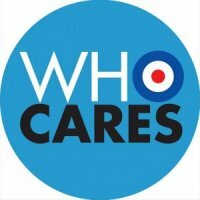 2011 – Founded Who Cares charity with Roger Daltrey to help fund Teen Cancer America. 2012 – Performed with The Who at Madison Square Garden for the 12-12-12 Benefit Concert for Hurricane Sandy Relief. 2013 – Donated 6 Laser Pico sailing dinghies to National Sailing Academy of Antigua. 2013 – Performed with The Who at the Theatre at Madison Square Garden for Who Cares benefit concert to support Teen Cancer America. 2013 – Performed with The Who at Wembley Arena for Double O benefit concert to support Refuge. 2014 – Performed with Roger Daltrey and Kenney Jones at Rock n Horsepower charity concert in aid of Prostate Cancer UK. 2014 – Performed with The Who at Stand Up to Cancer charity event in London to benefit cancer research. 2015 – 2017 The Who shows were recorded and sold as downloads to benefit Who Cares and Double O charities. 2015 – Performed with Eddie Vedder and friends at Rosemont Theatre in Chicago for benefit concert to support Teen Cancer America. 2015 – Signed custom Epiphone SG-Special guitar donated by Barclays Center for charity auction to benefit Double O and TCA. 2015 – Received Stevie Ray Vaughan award at MusiCares MAP Fund benefit concert in New York City. 2016 – Who Cares charity donates The Lounge space for teen cancer patients at the Memorial Sload Kettering Cancer Center in NYC. 2016 – Performed with The Who at "Who Cares About The Next Generation" charity concert for TCA and UCLA Autism Treatment Program in LA. 2017 – Signed limited edition Shure SM58 microphones with original Who graphics with sales to benefit TCA. 2017 – Performed 3 songs with an orchestra at Symfunny charity show to benefit Parkinson's UK. 2017 – Signed Ibanez guitar for WMGK's John Debella Veteran Radiothon benefit for the Veteran's Multi-Service Center. 2017 – Played guitar on "Bridge Over Troubled Water" charity single to benefit victims of the Grenfell Tower fire in West London. Pete has also donated the following to help support the Meher Baba Association. 1968 – Donated use of his Wardour Street apartment to Meher Baba Association & sat on committee which oversaw the operation of the centre. 1969 – Produced Happy Birthday album. 1972 – Produced I Am album. 1972 – Donated 15% of his Who Came First solo album sales. 1976 – Produced With Love album. 1976 – Opened Meher Baba Oceanic in London. 2000 – Released Avatar CD box set to raise fund for the Avatar Meher Baba Trust in India.